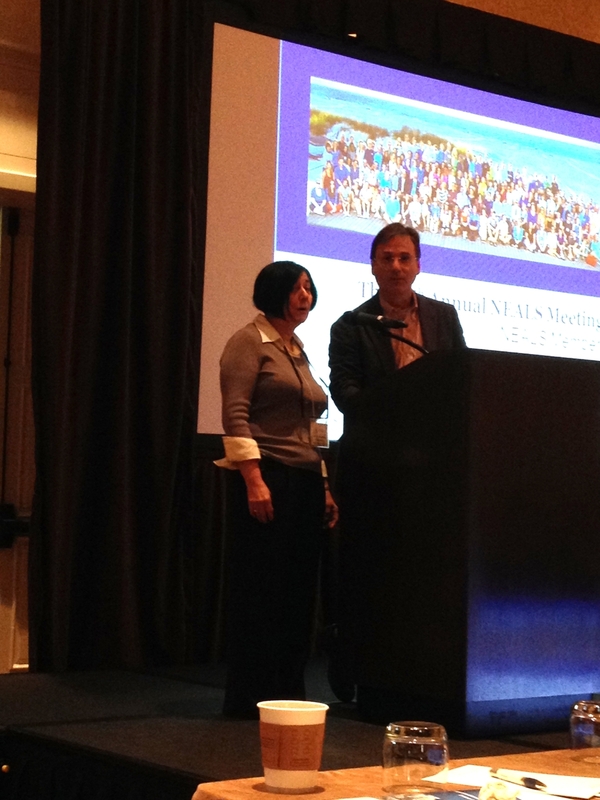 Clearwater Beach, Florida was the site of the 14th Annual Northeast Amyotrophic Lateral Sclerosis Consortium (NEALS) Meeting on November 4-6, 2015. 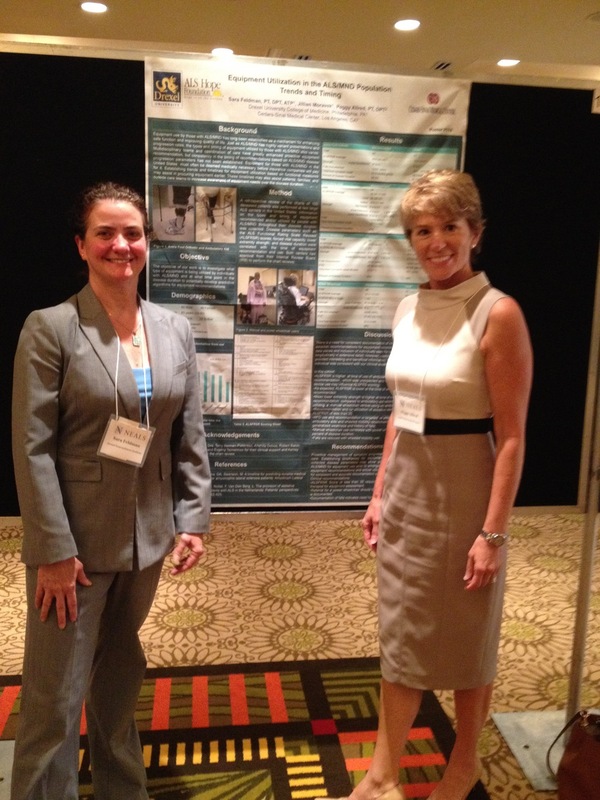 Dr. Terry Heiman-Patterson and Sara Feldman, PT, DPT, attended the conference along with scientists and clinicians from many of NEALS' 120 member sites. NEALS is committed to cooperative planning and open scientific communication between organizations looking to develop care and treatment of individuals with ALS. Dr. Heiman-Patterson is Co-Chair of NEALS along with Dr. Jonathan Glass from Emory University in Atlanta, Georgia. In addition to co-leading the meeting, Dr. Heiman-Patterson is also Co-Chair of the Biorepository Committee with Dr. Robert Bowser of Barrows Institute in Phoenix, Arizona. She also led the abstract reviews for this year’s meeting. The meeting agenda included training sessions for the outcome measurements taken during clinical trials, a review of ongoing NEALS trials, and information on other research initiatives occurring at member sites. It was both an inspirational and thought provoking meeting and we left with renewed energy and new collaborators to move the research forward.